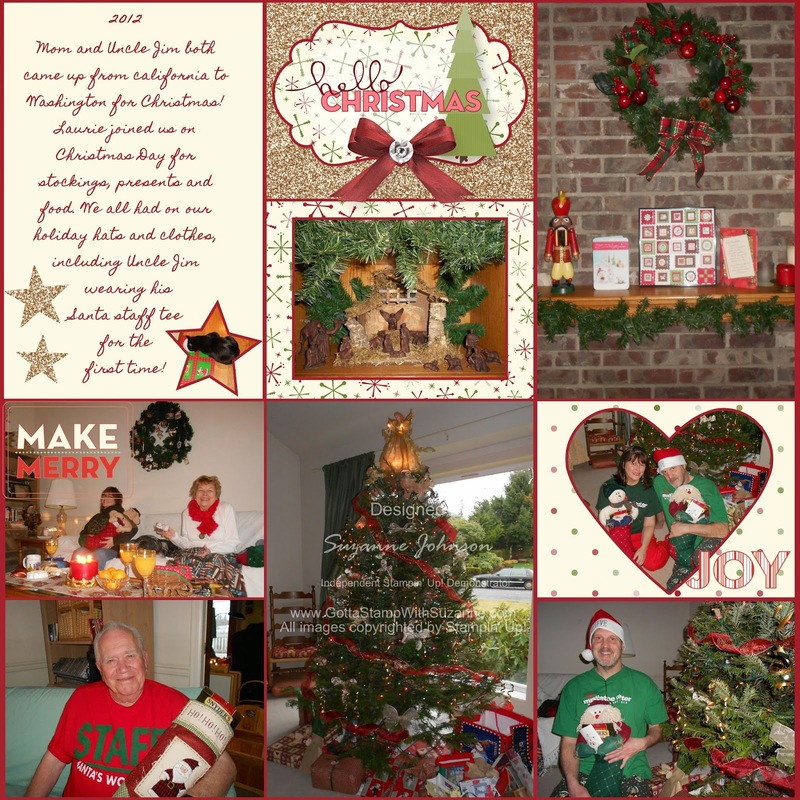 GOTTA STAMP WITH SUZANNE JOHNSON: I AM A GUEST DESIGNER ON MDS MONDAY! I am so excited to announce I've been asked to be a guest designer for the month of September on the MDS MONDAY blog! Each Monday this month when the new challenge sketch is posted, you will see my design idea for the challenge along with those of the design team members. Be sure to click on the link above each week to see the challenge designs and what I and everyone has created. You can join in with your own design! If you don't have My Digital Studio yet, you can download the free trial! I'd love to help you get started! I chose photos from a past Christmas when my mother and uncle came from California to Washington for the holiday. Project Life layouts are a great solution for scrapbooking about holidays and trips, all the events for which we tend to have lots and lots of photo memories! Fill the "pockets" with photos, some journaling, maybe a little decor and voila! There are a couple of strategies you can use when you design a digital Project Life page. The "quick and easy" approach is to select a design kit and stick with the papers and elements in that kit - everything is already coordinated for you! The "crafty" approach is to start with a key element, such as a DSP that looks great with all your photos, and go from there using anything you can find that coordinates with it. If you want to use something that doesn't quite match, then make it work by recoloring or changing it. I used the "crafty" approach, starting with the Be of Good Cheer DSP in the top center sections. I started out putting mats on my photos and boxes but when lining them up with even borders got a bit tricky, I realized it was WAY easier just to color my background Cherry Cobbler, leave off the mats, and align my "pockets" in a grid. All the details of my page are below. 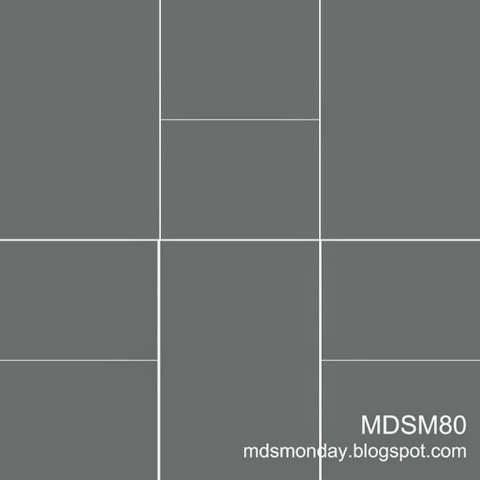 Visit today's MDS MONDAY CHALLENGE post and check out all the pages created based on this template! The challenge entry designs get added to the end of the post throughout the week and each will link you to where the design is posted. Top left pocket: resized square punch, fill with Very Vanilla Textured Cardstock, overlay journaling text box. Jingle and Joy Designer Kit embellishments: words "JOY" and "make merry"